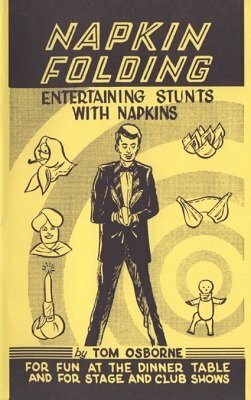 This is not to be considered an encyclopedia on napkin folding, it is the fulfillment of the Author's desire to preserve for the future some of the most interesting of the napkin folds with his own illustrations and descriptions. These folds have been gathered from all over the world. Some are the Author's creation, but the majority of them appear to be the Property - of Public - Domain, and of this latter group the Author has made an honest effort to trace the origin of the different folds, and in every case they seem to be lost in antiquity. 1st edition 1945, 48 pages; 1st digital edition 2016, 37 pages.